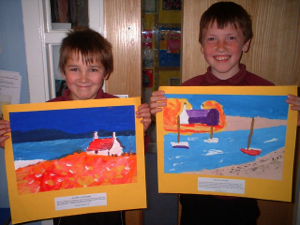 “The P5 - 7 pupils in Southend Primary near Campbeltown have been studying your style of landscape painting with much enjoyment and enthusiasm. 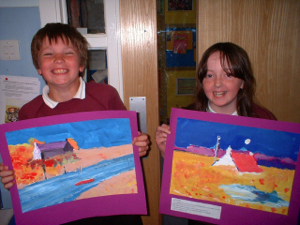 They have reproduced some scenes using similar colours and trying out the techniques present in your work with lots of success. 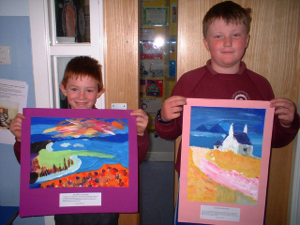 I even have some of our 'big boys' talking about painting and painting styles! 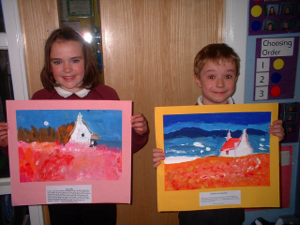 They've all really enjoyed it and were really inspired by your work. 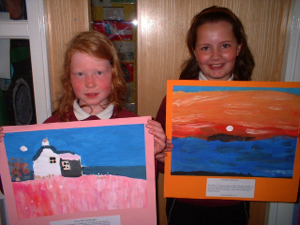 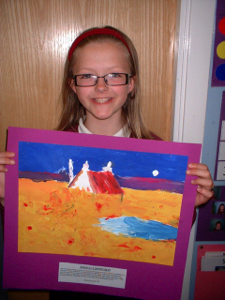 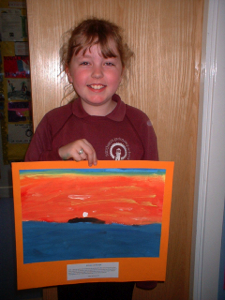 The photos of P5-7 pupils and their work appear with permission of the school and of the parents.